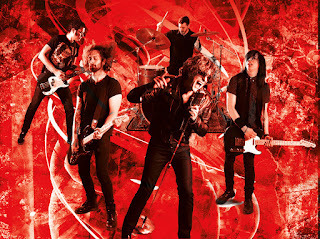 The Flux Machine Release Video for "Hurricane"
Punk-infused alt-rock band The Flux Machine from NY has debuted their new music video "Hurricane" on PureGrainAudio.com. Directed by John Jinks, the video is for the title track of the band's 2017 sophomore full-length. The song swaggers around like the cool guy at the party who later gets drunk and talks about how what we really need is a good revolution. "The song puts into music the concept of one or a series of events that take over our life, like a Hurricane does, but we withstand this with our own fury," says vocalist Luis Accorsi.